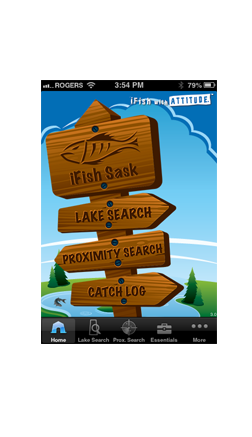 iFish Saskatchewan is the iPhone & Android app every fisherman needs, and the exclusive app for Fishing in Saskatchewan. Get it today and Fish with Attitude. Mark your HotSpots at any lake! Over 175 Lakes with Local Outfitters information! Scalable Depth Charts for many lakes! NEW FEATURES AVAILABLE! Advanced Catch Log and personal GloveBox now available for purchase on iOS. View the full feature list! "What a fantastic app. Man I wish I would have had an I phone when I was growing up. Could have caught a lot more fish those days with the info on this app!"